Wandering spider. 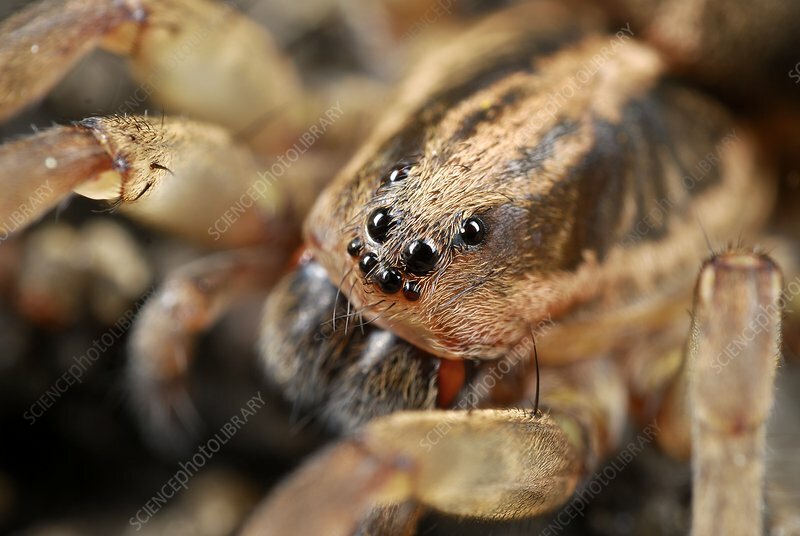 Close-up of the head of a wandering spider (Agroeca sp. ), showing its eyes. Photographed in Poland.